For home games played at Knebworth Recreation Ground. Please only use marked parking bays – blocking the driveway could delay emergency service vehicles. The entrance to Knebworth Recreation Ground is off Watton Road, next to number 39. From the south: Leave A1(M) at Junction 6 at Welwyn and follow B197 into Knebworth. Turn right at the second roundabout, which is after the High Street, into Watton Road. The entrance is on the left before the last speed restriction, after number 39. From the north: Leave A1(M) at Junction 7 (Stevenage South) and follow signs for Knebworth (B197). Pass the Roebuck and turn left at the next roundabout into Watton Road. The entrance is on the left before the last speed restriction, after number 39. From the east: Take the A602 to Stevenage, exiting at the roundabout adjacent to Aston Golf Centre and follow signs for Knebworth through Bragbury End. Turn left into Watton Road, passing the crematorium. At the next junction, with Bell Close on your right, turn left and go through the first speed restriction. Immediately turn right into Knebworth Recreation Ground, prior to number 39. Public Transport: 3 minutes walk from Knebworth mainline station. Exit the station, turning left and following the footpath under the railway line. Continue straight ahead at the first roundabout. At the second roundabout, turn left and cross the road. Just past the bus stop on your right is the pedestrian entrance to Knebworth Recreation Ground, follow the path and the pavilion will be in front of you. The pavilion is open on all match days to provide toilet facilities. 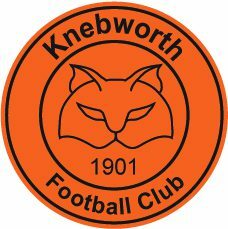 Changing rooms are available on request, subject to availability – speak to Abi Rawling, our Fixtures Secretary, at least 48 hours prior to your match to book one; 07747 484635; fixtures@knebworthfc.co.uk. 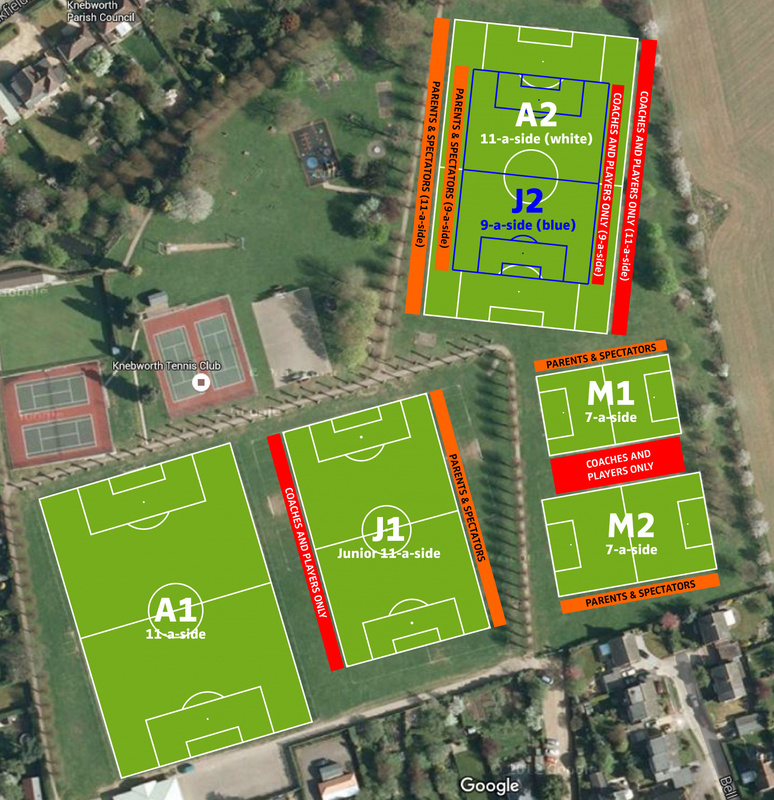 The club does have limited parking at Knebworth Recreation Ground however, at busy times this can fill up quickly and visitors are urged to park sensibly and considerately in surrounding streets.